Editors of scientific journals are tasked with ensuring that the journal is successful, publishes excellent research that serves the scientific community and contributes to the aims and goals of the journal. Editors influence the scope and scientific philosophy of a journal, which helps define the types of studies that the journal seeks to publish. For example, GCA expects manuscripts to demonstrate a high degree of relevance and broad significance to the field of geochemistry. Other journals have different scopes. Editors also aim to ensure that papers address key scientific questions, are well conceived and executed and that papers successfully communicate the authors’ objectives, results and ideas. This focus on publishing papers with high-quality content and presentation is important for all concerned (the editor, the journal team, and the authors) because it is those papers that will have the greatest and most immediate impact on science. When authors submit a manuscript, some journals ask them to identify an editor with relevant expertise in the topic of their study. 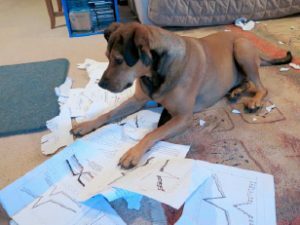 At GCA, the Executive Editor makes a first-cut evaluation of all manuscripts for content and presentation relative to the scope and standards of the journal. Often, but not always, this is done in consultation with the Associate Editors, who sit on the Editorial Board of GCA. About 20% of the ~1,000 manuscripts that GCA receives each year are returned to their authors without external review. In many cases, this is because the manuscript presents a study with a relatively limited scope. A key criterion in this evaluation is whether or not the manuscript demonstrates the broader geochemical significance of the work. Manuscripts can also be returned to authors at this stage because they do not address significant problems in geochemistry or because the presentation does not meet the journal’s standards. Articles are also screened to ensure that the structure of the article follows journal-approved guidelines and that there are no citations to personal communications or unpublished data. A manuscript that survives this initial evaluation goes to an Associate Editor. Associate Editors solicit external reviews and contribute their expert evaluation of the manuscript. This is the most difficult step in the entire process. Peer review is a well-established procedure for evaluating quality and suitability for publication, but the community is overloaded with requests for reviews from journals, funding agencies, academic institutions and journalists. This is in addition to the demand for authors and editors to prepare, and revise after review, their own research for publication. Authors are entitled to expect that their work will be handled in a timely manner, but, for many journals, the editorial handling of manuscripts is impacted more than we would like by late reviews. This is something that everyone struggles with; it represents a real challenge to the way that we confront the increasing demands on and from our community. For example, GCA alone needs ~5,000 reviews each year to meet community demand. Once the external reviews are received, the Associate Editor evaluates and synthesizes the reviewers’ comments and provides an editorial recommendation for the manuscript. Ideally, the manuscript is suitable for publication with no revisions. Congratulations! However, almost all papers require at least minor revisions and many need a major rethink of the experimental design, the discussion, or the presentation. While this can be discouraging, especially for early career authors, it also shows that the community has engaged with the work in a meaningful way. Although reviewers occasionally adopt a confrontational tone in their reports, authors should be aware that this is (almost) never personal: it is an honest perception of their work, filtered by the many pressures and cultural differences that we all deal with on a daily basis. In any case, our combined experience from reading thousands of reviews is that the vast majority of them provide useful advice and information, and authors almost always benefit by considering them as a constructive opportunity to improve their work. One of the most critical decisions that an author needs to make on the path to publication is how to approach the revision and reply. It is almost always better to revise the paper in accordance with a reviewers’ comments rather than to try and argue about it. If a reviewer was confused or missed the point (e.g. was that moles, or moles L−1? ), then other readers will be similarly confused in some way. If a reviewer is incorrect in their facts, which sometimes happens, then a polite and constructive reply is appropriate. Authors should assume that reviewers will read and comment on any reply and should also remember that reviewers and the Associate Editor have volunteered their time to help improve the paper. From an editor’s perspective, it is helpful when authors clearly outline in their reply how their revisions relate to the Associate Editor’s and the reviewers’ comments. Good tactics include going through the comments line-by-line with responses and, where appropriate, including the modified text, or grouping similar comments, under one heading. Uploading a version of the manuscript showing tracked changes in addition to the clean copy can also assist the editor in evaluating the revision. Once the revised manuscript is received, the editors examine it to determine if the scientific and editorial concerns have been adequately addressed. Ideally, the paper will then be acceptable for publication. However, if major revisions were required, the manuscript might be sent back to one or more of the original reviewers. New reviewers can also be recruited. Further revision may be necessary, but, in most cases, journals are unwilling to invite a series of major revisions on a manuscript. A paper can be rejected at this stage as well. Authors should be aware that an invitation to revise a paper does not constitute a guarantee of publication. Some journals offer an article transfer service that can facilitate submission of a manuscript to another, possibly more appropriate, journal either before or after review. To all authors: Please target your manuscript to the appropriate journal and take care to polish the text, references and figures to a high gloss before submission. Reviewers need to assess the science content, not fix rough manuscripts. Reviewers and editors respect a well-prepared manuscript because they can fairly evaluate the science. A manuscript that is not well prepared may not receive the opportunity it deserves even if the quality of the underlying science is sound. In the end, we all want to read and produce significant science papers that are well-prepared and that we learn something from!